Not far from the "Puerta de Alcala" is the Communications Palace. This is one of the most impressive classical buildings in the streets of Madrid. These buildings recall the days Spain was an Empire. 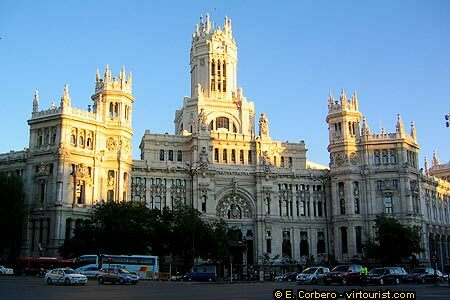 The Communications Palace building is in front of the Cibeles Square, which will be our next sight. Although Madrid is a big city, the main tourist attractions are in the old town, and can be visited on foot.